The Cotswolds Discoverer is a bus and rail pass that lets you explore the Cotswolds region in Gloucestershire and Oxfordshire and the pass includes bus and/or rail connections to nearby towns and cities including Oxford, Swindon, Bath, Gloucester, Cheltenham and Stratford-upon-Avon. 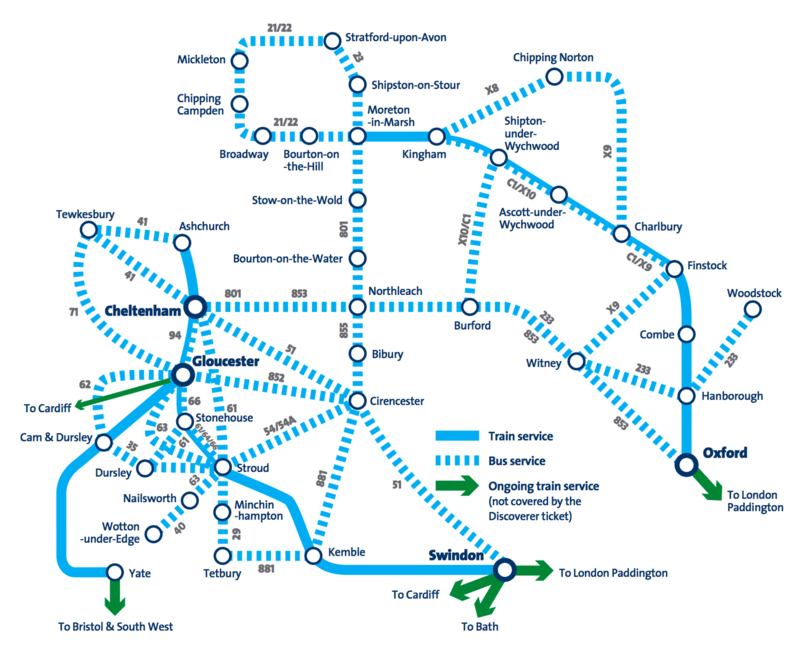 Due to the layout of the rail network in this part of the country, the bus portion of this pass is a more useful mode of travel than rail, although the rail connections to Cheltenham, Gloucester, Oxford and Swindon are a handy gateway to the Cotswolds region. This pass is not valid for rail travel before 8.50am Monday–Friday.